After this unexpectedly snowy and cold weekend, I was in the mood for some comfort food! I contemplated making the Barefoot Contessa’s Macaroni & Cheese which is absolutely delicious. But I didn’t want such a rich and heavy dish. 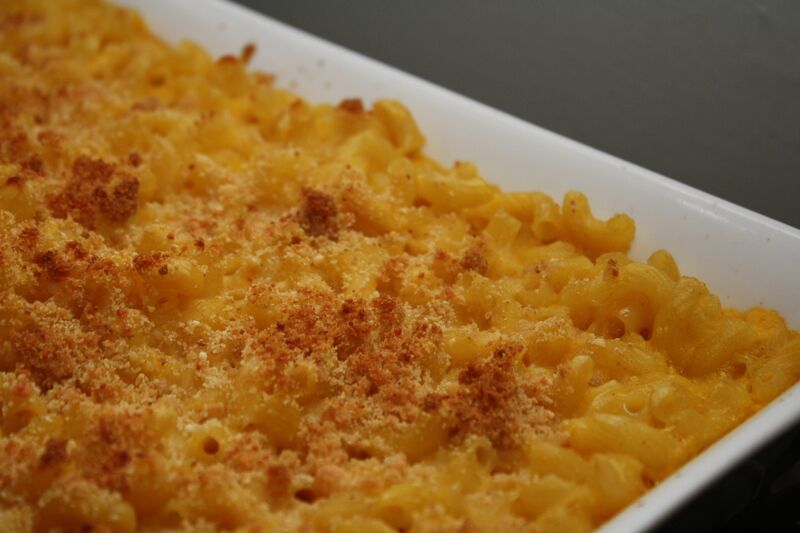 I searched for some lighter mac ‘n cheese recipes and found this one that uses frozen winter squash which adds creaminess to the dish and a good dose of veggies. The dish is very tasty. Not as amazing as a traditional macaroni and cheese but it is very creamy from the ricotta and squash. And, it has great flavor from the squash and the four cheeses. Some of the recipe’s reviews describe the recipe as bland. To avoid this, I would definitely use an extra-sharp cheddar and not skip the salt, cayenne, or ground mustard. This dish is a delicious lighter alternative for adults and a great way to sneak some veggies into your kids dinner!